Can be seen in 2nd photo. Type: Blanket,Sleeping bag. Use similar clothing to compare with the size. Size:55cm 29cm. Disney Vintage Mickey Mouse Blue Baby Security Blanket -12"x12"
The Disney Baby Mickey Mouse Security Blanket features a plush Mickey head. Sorry for the inconvenience, but this is the LAW. Made from 100 percent polyester Velour. Baby Blanket. Camo with blue silk trim. Super soft. CAR20009EP086/0618/1///71A. Individually embroidered with "Baby Feet" design. Beautiful Soft Baby Fleece, "Baby Feet" Design Blue. Also available in Baby Pink! Colour Baby Blue. I have 50 years of crocheting experience. Christening NEW SOFT PRETTY CROCHET BABY BLANKET. This blanket is made with Soft Powder Blue and white soft baby yarn. I make over 16 different combinations of colors of this blanket. · - Dinosaur -. · Material : Cotton. · Colors : Blue. IDEAL FOR YOUR BABY: The cute baby swaddle blanket is ideal for newborn babies. They can snuggle up to the blanket and carry it with them as they get older. Perfect to comfort your baby and for them to have fun playing with. Bright Future Puppy Blue & White Stripe Baby Receiving Blanket 24" x 24"
PUPPY BABY BLANKET. Plue and white stripe receiving blanket. Puppy on one corner. Cotton Muslim Swaddle 47'x47" Blanket by Little Unicorn. Cotton Muslin Swaddle Unique Planetary print. Cute bicycle print andtextured feel will make this your favorite blanket for your baby! Lot of 2 baby blankets The trim on the blue fuzzy blanket by Stephan Baby has a few runs in the fabric The Carter’s cotton blanket has some light spots and wash wear Overall in nice shape! Handmade Crochet Baby Boy Crib Soft Blanket Cream Blue Teal 47"x34"
Lovey Security Blanket. Brown Bunny Head. w/Blue Minky Plush Blanket. "My First Easter". Blue Plush Back. 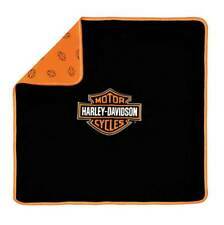 Taggies Fleece Replacement Lovey Car Helicopter Boat 12"x12"
Luvable Friends Coral Fleece Blanket is a fun and colorful blanket that is extra large and adorably soft and comfy. This item arrives with a gift ribbon for easy last minute gift giving with no extra wrapping necessary! Wrap your little one in this adorable swaddle. The soft, stretchy fabric will make them feel cozy and secure. Machine Washable.